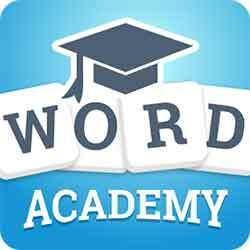 Welcome to Word Academy Answers, Cheats and Solutions for iPhone, iPod, iPad and Android. This is the latest guess game developed by Scimob and can be downloaded for free on Google Play and iTunes. In this amazing guess game you have to find the hidden words. If you get stuck and need help than use our walkthrough guide here at 94answers.net to find all the correct answers. That was the end of our Word Academy Answers. First try to solve yourself but if you get stuck we have all the correct answers here at 94answers.net. If you have any suggestions please contact us here at 94answers.net/contact-us.